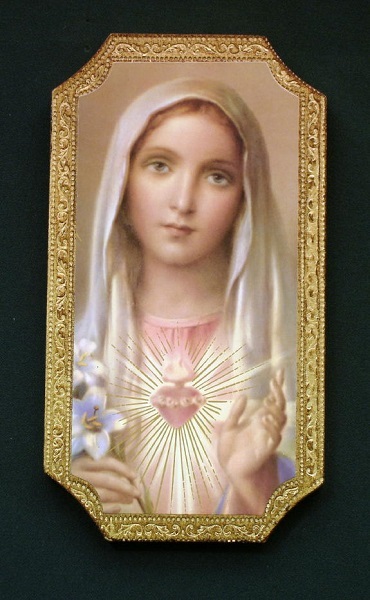 Immaculate Heart of Mary Florentine Plaque, 4.75 x 9 inches. Made in Italy. Beautiful! !